For the 3D printing exploration of this class I chose the same form I used for the serial slicing project. I wanted to see the differences that could be achieved from different methods of taking a piece from the computer into the real world. 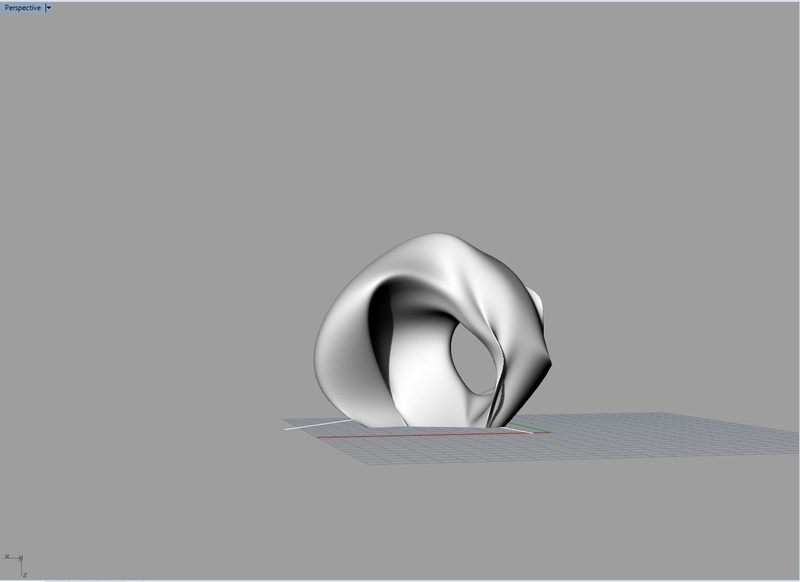 Here is the form in rhino again, same as the serial slicing model. From there I sent it to the 3D printer. 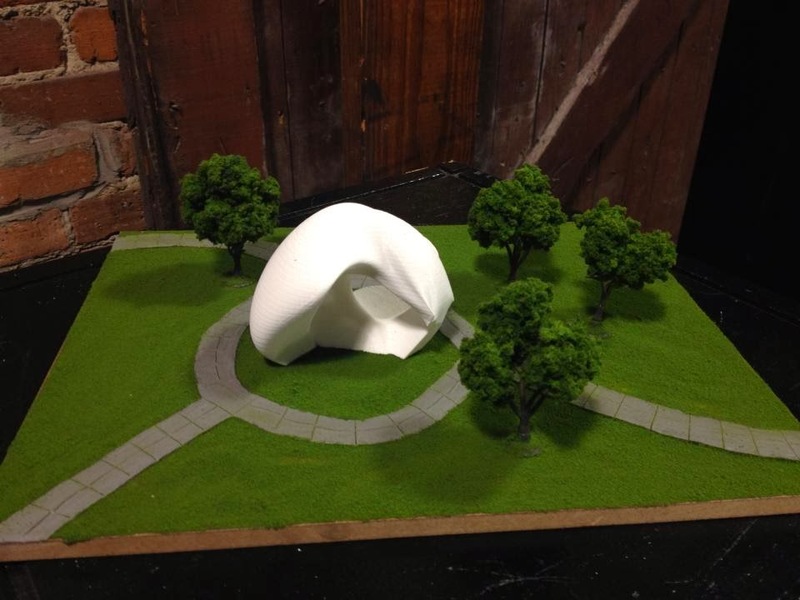 We placed our 3D printed models in a way that mimicked a proposal for a public works piece. I thought the best way to place mine would be in a park setting, with a path around it and surrounded by a few trees to show scale. The piece is inviting in this setting and I would like to see it at this scale in a way that would encourage people to explore it. I found this process very rewarding and enjoyed seeing the same piece I serial sliced brought to life in a different way and thought it was amazing how different two pieces can be even though they came from the exact same file.